Opinion: April 7, 2018 at 12:00a.m. Perhaps you should not be so loose with words. I understand there were no ‘weapons of mass destruction’ in Iraq, nor are there any in the ‘hands of ordinary citizens’ in the U.S.
Take a look at the link to the FBI statistics on homicides. It may surprise you to notice that about 2 percent of all homicides involve a rifle of any type – whether it is a similar to the ArmaLite rifle (the AR in AR-15 doesn’t stand for assault rifle or automatic rifle) or a standard hunting rifle. You may also note that knives and cutting instruments are eight times more likely to be used than rifles. So what’s the point? Inflammatory rhetoric doesn’t advance constructive discussions. People, and the current disposition to violence, and our judicial trend not to punish (whether it deters or prevents additional crime) are the problem. Let’s focus on this cultural drift. The Vindicator minimizes its effectiveness in the public debate by publishing such biased hyperbole. It is no secret that The Vindicator is for the most part sympathetic to the Democratic Party. You support the sanctuary city movement that the party encourages. Please tell what other nation doesn’t protect its borders? You never challenge the Democratic politicians when they claim that illegals are not able to get benefits. That is a flat-out lie. They get free education, medical care, housing and food stamps. Youngstown, along with its school system, has been controlled by the Democrats for generations. Yet the main artery into downtown is filled with closed businesses and dilapidated buildings. The school system is a disaster. Despite this, the previous mayor was willing to accept Syrian refugees. It seems you prefer a country controlled by the Democrats and its elites with the rest of us working for the remaining scraps. The infrastructure is crumbling although thanks to Obama’s infrastructure renewal program the sidewalks on the Glenwood Avenue on the bridge over Mill Creek Park were replaced. I think the large sign announcing this project cost more than the sidewalks. I shouldn’t pick on only Youngstown since every major American city and inner city school system is controlled by the Democratic Party. I would ask of you one favor. Since none of my federal government representatives have responded, could you please inform me what federal government rules I can disobey without consequence. 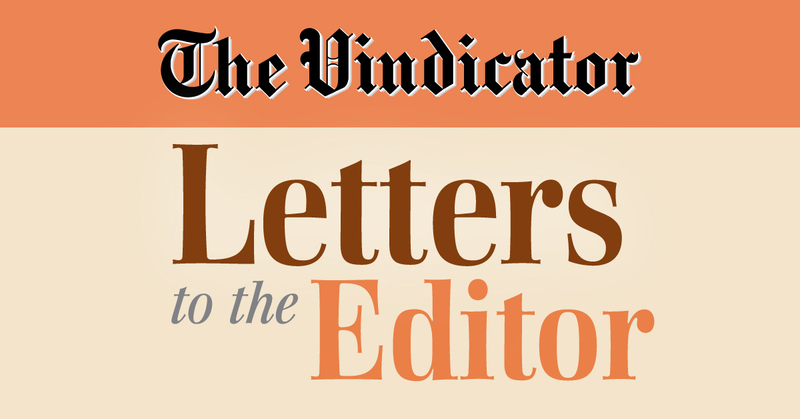 In the past several weeks I have noticed several articles in the Letters to the Editor column praising students for walking out of class in support of the mass shooting at the Marjory Stoneman High School. Have the people supporting this lost all sense of direction? Our children are sent to school to get an education – not to participate in political agendas. If they wish to exercise there First Amendment Rights, it should be carried out after school hours and off school property. The rights of students do not mean you walk into the principal’s office and tell him you are organizing a protest during school hours and walking out in support of some agenda, and I’m surprised that the school administration allowed this to take place. It just goes to show that the inmates are running the asylum; students who took part in these protest rallies should be given a three-day suspension and a letter put in their file. Schools should be a safe haven, free from political overtones and a neutral place for the student to come and learn and be safe.